Just finished a book that I’ll never be able to recommend to anyone, because I don’t have the first idea how the author’s name is pronounced. 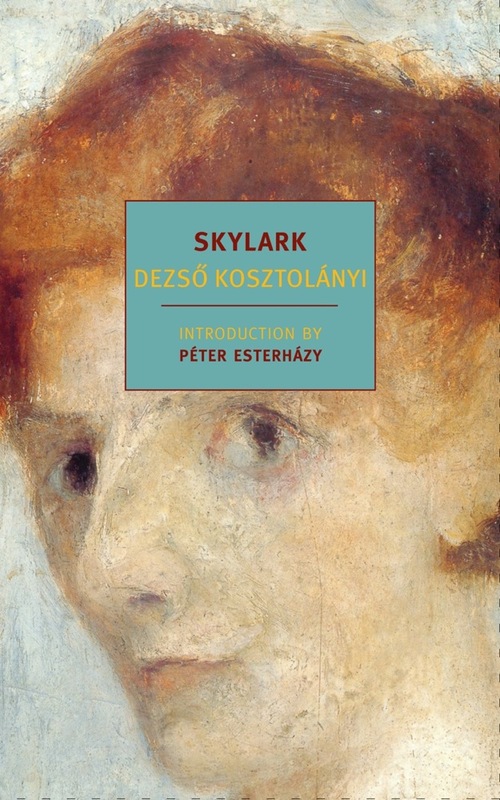 However, Dezso Kosztolányi’s Skylark was a really tight, highly thought-out sort of book. I was a bit wary of it at first, because it had one of those description that feel almost a bit too interesting. Like, the ones that make you think maybe the book is too high-concept to really sustain itself. It’s about this husband and wife who live in retirement in a small Hungarian town with their only daughter, who’s nicknamed Skylark. The thing is, Skylark is really ugly. Just super ugly. So ugly that she’s never gonna get married or anything (not sure that someone that ugly really exists, since lots of ugly people seem to find someone, but let’s go with it for the sake of this novel). And because of that, she’s settled down to this very measured existence with her parent. She cooks and cleans. They do everything together. She always walks between them. They don’t go out much, since she doesn’t really like to be seen in public. But then they send her away for a week’s vacation with an uncle. And while she’s gone, the parents open up a little. They eat at a restaurant. The dad starts rekindling some old friendships (they’ve lived in this town their whole live, after all). They get involved in the little dramas of the town (the heir who’s in love with an actress, the poet who feels stifled, etc). The mother starts playing the piano again. And then the daughter comes back. The characters don’t think about it too much. They do their best not to think of it. But the reader can’t help but wonder, constantly. What is going to happen? Will they return to that dreary life? Or will they get rid of her somehow? Or will she learn to live too? What will happen? And the ending is so perfectly executed. It’s so exactly right. And it’s not at all what I saw coming. In order to create this ending, the author had to walk the finest line. Just a little swaying to one side and it’d have felt anticlimactic. And a little swaying to the other and it would’ve felt overwrought. As it was, it was perfect. On a sidenote, I read this book in The New York Review of Books Classics edition. I’ve really started to notice this line of books. They have beautiful covers, and they’re super fun. I don’t know about you, but I am obsessed with Penguin Classics. But the Penguins I like best are the funky ones that I’ve never head of, books like The Letters of Heloise and Abelard or Sanshiro or As I Crossed The Bridge Of Dreams. However, most of their books are pretty standard fair: Pride and Prejudice and David Copperfield and the like. Well, the NYRBC line eschews the standard stuff and just serves of up weird, funky books that’ve become culty classics. For instance, my most favorite book of last year was Stoner, which was re-released by the NYRB after being out of print for years upon years. Furthermore, there’s a definite aesthetic to the NYRB line. It’s hard to explain, but Stoner and Skylark both exemplify it: tight, small-scale, high-concept novels. Exactly the sort of thing that I love.